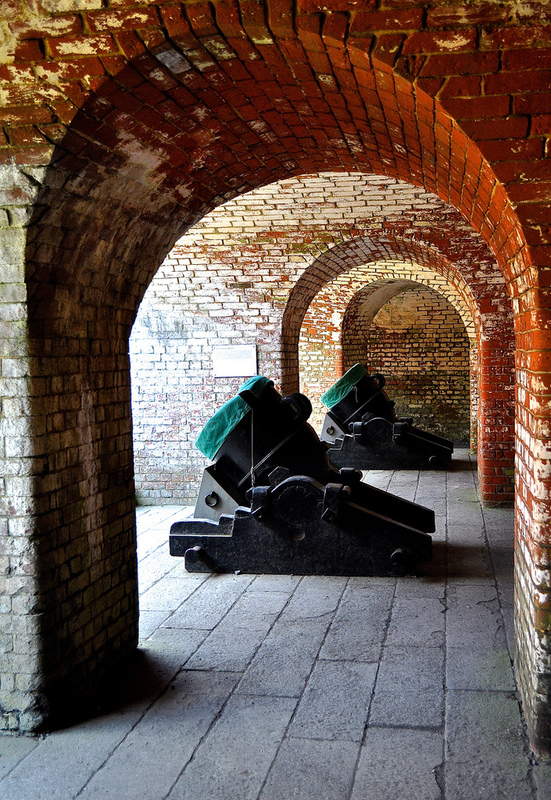 I grew up in Fareham and Portsmouth so the Victorian land fort defenses on top of Portsdown Hill and the sea forts just off Southsea Beach were on my background radar as places of great interest and intrigue during my childhood. I was fed stories about all the forts being connected by secret tunnels which lead deep down into the hillside itself – the stuff of fantasies for a child brought up on Doctor Who. 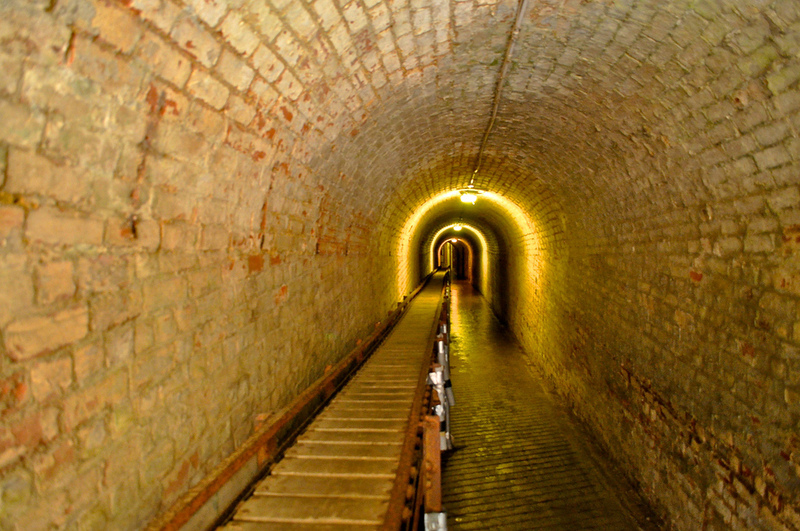 So it has been an immense treat therefore to visit the latest incarnation of one of these forts – Fort Nelson in fact, home to the Royal Armouries national collection of big guns – not so much for the guns, it has to be said, but for the exploration of the tunnels below. Fort Nelson is just one of a ring of similar land and seaports, built to protect Portsmouth against the dastardly French. 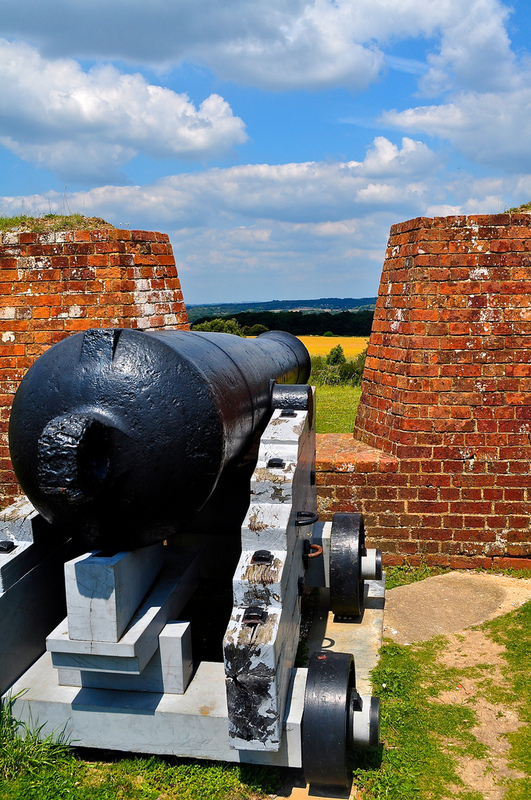 There are four sets – the sea forts in the Solent, fortifications on Portsea Island, these forts on Portsdown Hill and others located in the Gosport Peninsula. 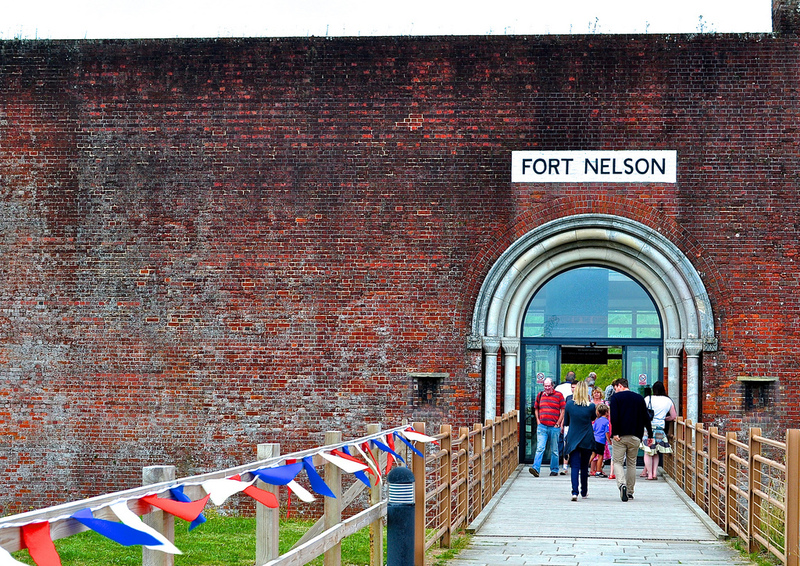 Fort Nelson, named after the nearby monument to Admiral Lord Nelson, formed part of a massive ring of brick, masonry and earth forts, constructed to provide the fire power to combat a possible enemy attack on Portsmouth from the countryside. Inland you cry? Well, the military thought process at the time was that the French would land elsewhere, occupy Portsdown Hill and rain ammunition down on Portsmouth Harbour below. 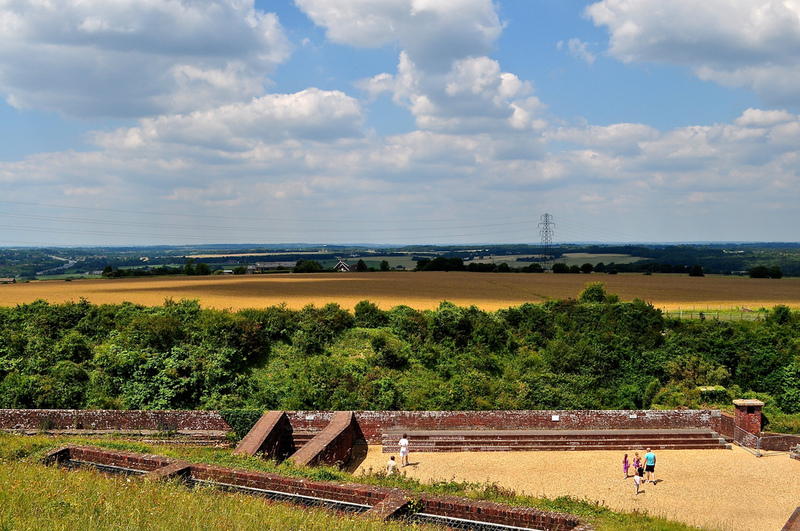 So the fort looks primarily out over the Meon Valley. Many people thought that they were simply built the wrong way around so the sobriquet Palmerston’s Follies was immediately coined for the person that supported their construction, the Prime Minister of the time, Lord Palmerston.They were never used against invaders, cost a fortune and were obsolete almost as soon as they were operational. Some of these forts have since been demolished and the remainder are in private hands so Fort Nelson is really the sole option if you want to have a good look around a grandoise folly. 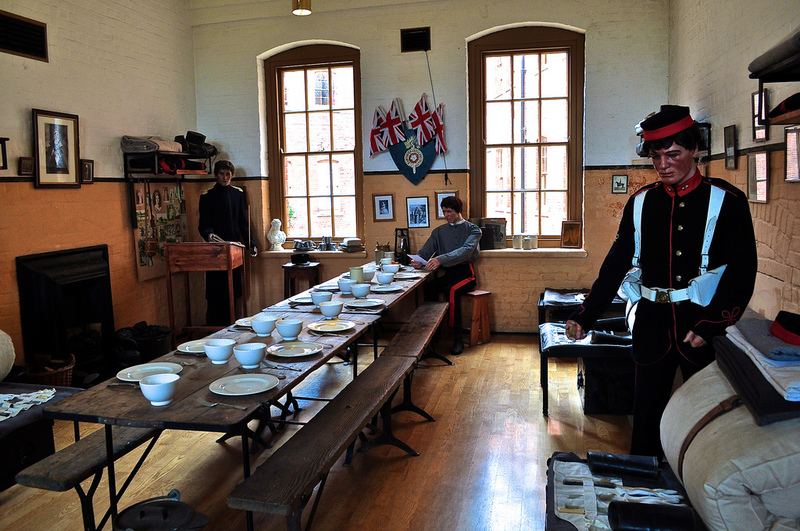 The Royal Armouries over the past couple of years has done a wonderful job in bringing this old fort back to life and showing visitors how it would have looked and operated in the 1890’s. 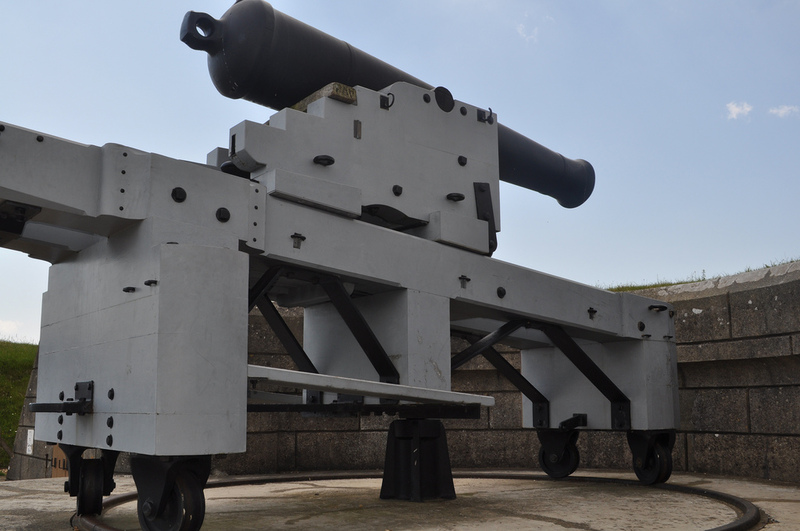 Much restored, there’s over 350 guns on display now ranging from the pre-gunpower siege machines right up to the modern day super guns …. one of Saddam’s lives here in fact. 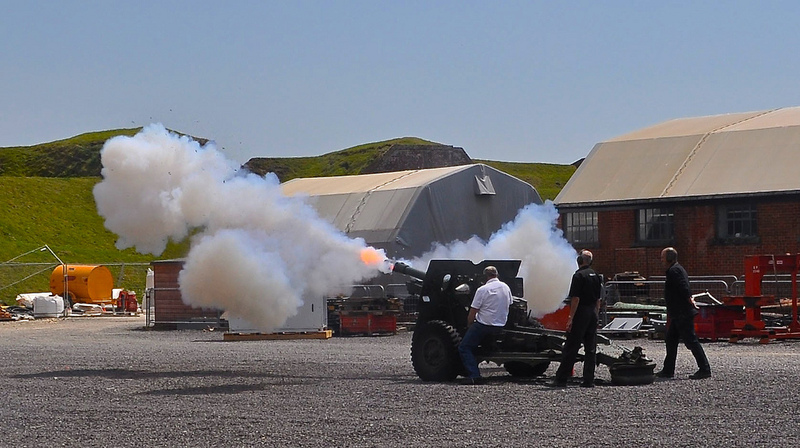 You never know, you might – as I did – actually witness the firing of one of these historic guns. Quite exciting – even for someone like me uninterested in armaments. Walk along to Lord Nelson’s column, close by Fort Nelson. 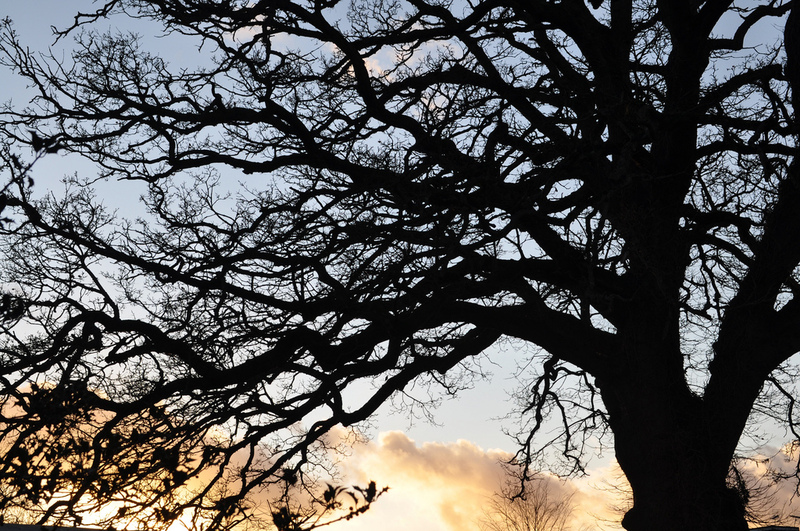 Drive along the hilltop and park up at one of the public car parks for spectacular views over Portsmouth on the one side and the Meon Valley on the other. 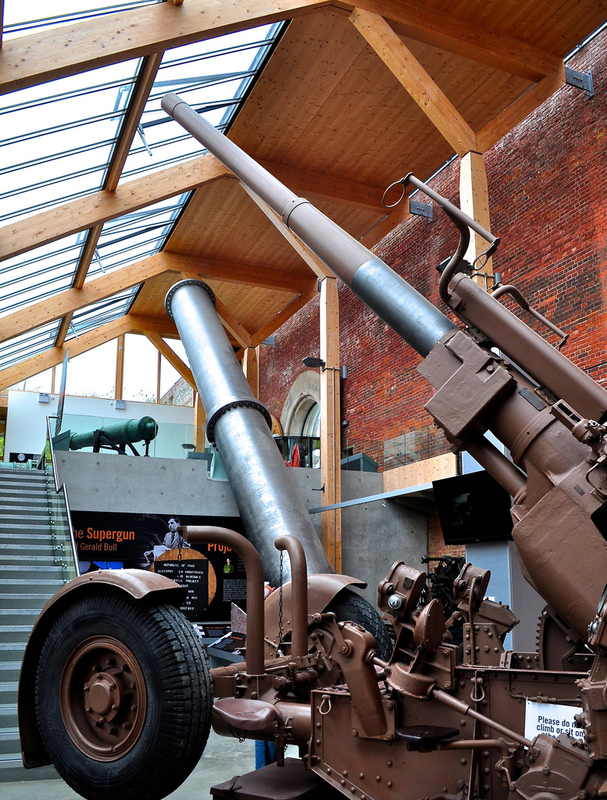 Fort Nelson – Royal Armouries Museum, Fort Nelson, Portsdown Hill Road, Fareham, Hampshire, PO17 6AN. In winter, November – March, it is open from 10.30 – 16.00 apart from Wednesdays – 11.30 – 16.00. 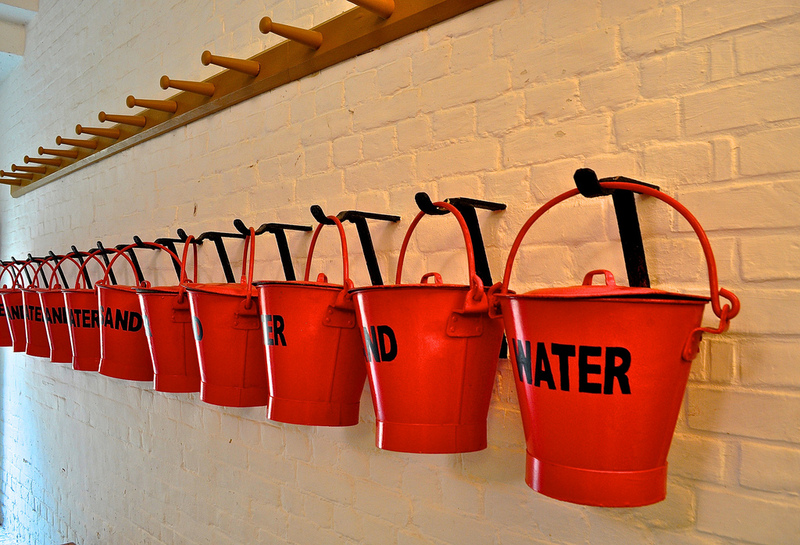 During the summer months, from April – October, it is open 10.00 – 17.00 apart from Wednesdays – 11.00 – 17.00. Admission is free. have truly loved browsing your weblog posts. After all I wiill be subscribing on your feed and I hope you write once more soon! Thanks so much – appreciate the kind comments.